High pressure high-pH pre-soak and detergent creates a copious amount of foam. 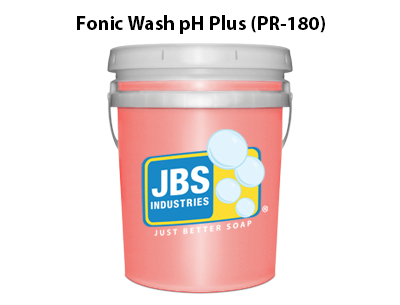 While JBS is known for a long-standing line of reclaim-friendly car wash soaps and related supplies, this product also works as a pressure washer detergent. Professional applicators appreciate its easy use. If you’re looking for an incredible cleaner meant for multiple installations, this is it!